If a little sign wasn’t hanging from the top of the building, you’d never even know Brooklyn Brewery was there. Since 1988, Brooklyn has distributed its beer from New York to Texas, and many states in between. 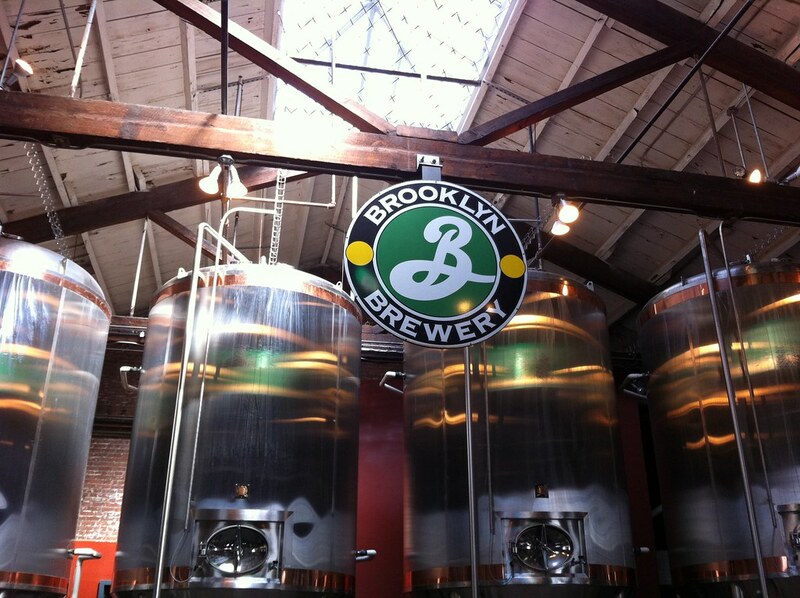 On site, Brooklyn only brews about 20-30% of its product, concentrating mainly on their big bottle series (such as the Local 1 and Local 2), along with some more experimental brews. Our tour guide walked us through a quick educational lesson about the main ingredients in beer, the brewing process, and then walked us through the history of the brewery, highlighting the story behind their logo. The tour itself is very short, but everyone is encouraged to stick inside the brew house for 10-15 minutes, take a look at the equipment, and ask more questions as needed. You can even bring your beer from the pub to the tour! Today’s post comes from Justin K. Thanks Justin! The New England Real Ale Exhibition (NERAX) runs from March 30th through April 2nd in Somerville, MA. This festival showcases cask ale from British and American breweries. (For a detailed explanation of what cask ale is read Beeriety’s article here.) Because cask ale has a relatively short shelf life once it’s tapped the show focused on having new beers go up each day. If you were to attend Wednesday night and again Saturday you would see two very different beer lists.